Shaltu, an ancient Amerindian word for the helping spirits of dancing shamans, brings us back to our Suntrip roots! Deep trance and dance music for people that like warm, spiralling, full power melodic “old school” Goa Trance! Like usual with our compilations Shaltu features a mix between known names and newcomers. The opener by veteran RA is pure deep, spiritual, Goa-Trance followed by two emotional morning-monsters filled with spirals and melodies by Crossing Mind and Nebula Meltdown! They are followed by three in-your-face dancefloor tsunamis that will fit perfectly the climax of every wild party! Filteria’s remix of Shakta’s classic “Lepton Head” is simply stellar, while newcomers InnerSpace and Ephedra vs Imba show us that there is a new generation of crazy musicians! 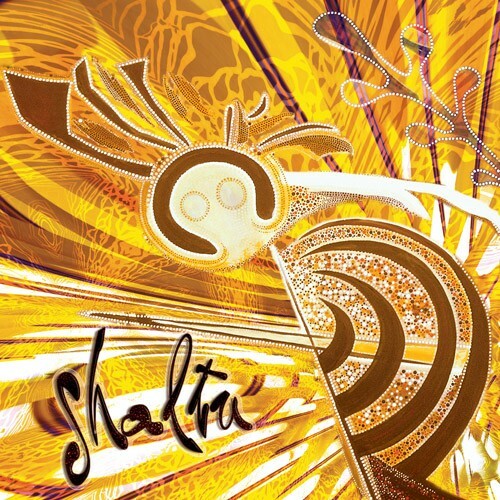 The last part of Shaltu brings us back into deep, warm morning music… Music for epic sunrises! The debut of Shani Yantra, and the floating remix of RA’s Time Current by E-Mantra give us a new definition of “Goa trance with modern production”. The Macedonian Sirius ends this compilation with a very melodic masterpiece! Rarely have we been so satisfied with the result of a compilation and we hope you’ll share that feeling!